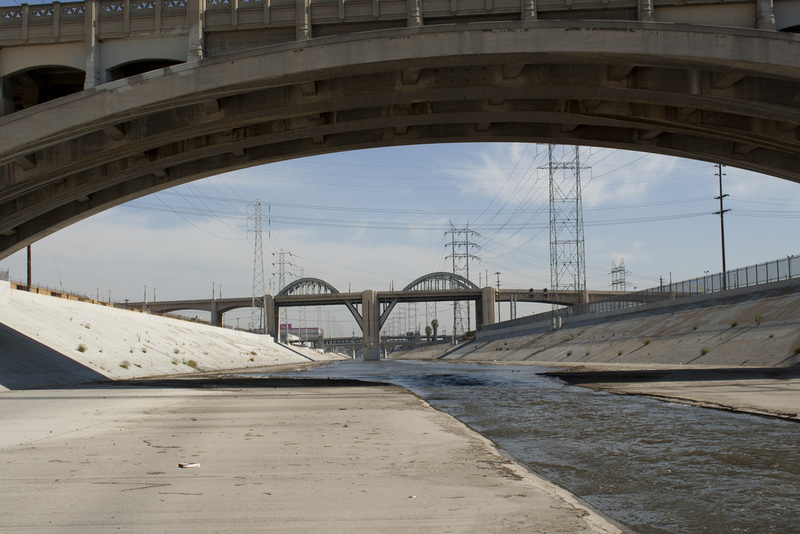 While the Fast and Furious series may never be praised for the depth of its characters, the sharpness of their dialogues or any kind of subtlety for that matter, it’s difficult to deny its prowess when it comes to wowing action. 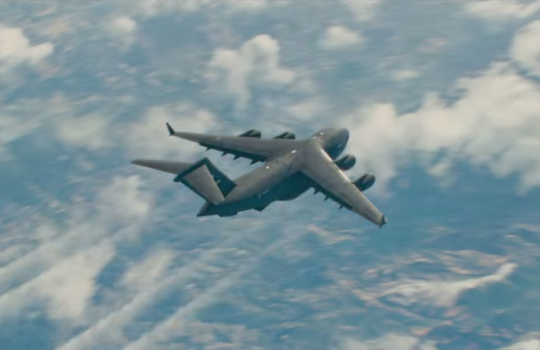 From the first opus in 2001 to Furious 7 in 2015, Fast and Furious has mutated into an impressive mastodon pushing the limits of the action genre every time with even more mind-blowing stunts. Besides taking the series a leap further in that direction, Furious 7 will always occupy a special place due to the sad death of star Paul Walker half way through production. 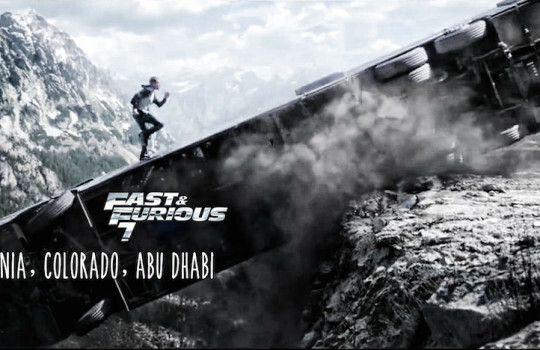 Furious 7, like the other films of the series, is a great journey through beautiful landmarks like Colorado’s Rocky Mountains, the Etihad Towers in Abu Dhabi or the 6th Bridge Viaduct of Los Angeles. So brace yourself and get ready for a fast-paced legendary trip all the way around the world! Furious 7 starts with the Race Wars meeting where Letty Ortiz (Michelle Rodriguez) shows off her driving skills while trying to make sense out of her confused memories following the accident that left her amnesic in Fast & Furious (2009). This scene was filmed at Lancaster on Route 138 in the Antelope Valley of the western Mojave Desert in Southern California (70 mi / 113 km north of Los Angeles). Letty: What are we here for? Dominic Toretto: That. Race Wars. Letty: We used to come here? Dominic Toretto: Come here? We invented it. 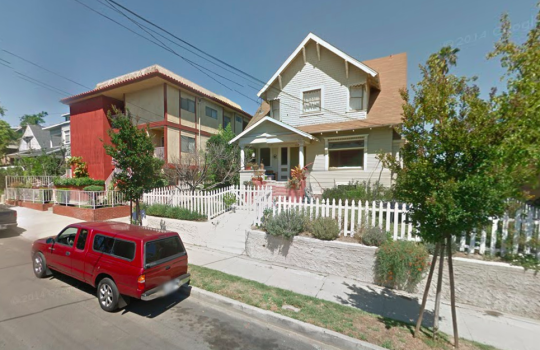 The iconic home of Dominic Toretto (Vin Diesel), recurring location throughout the Fast and Furious series, still stands strong against winds, currents and explosions at 722 East Kensington Road in Echo Park, Los Angeles. Deckard Shaw: Dominic Toretto. You don't know me, but you're about to. Targeted by a revengeful Deckard Shaw (Jason Statham), Han is the first of the crew to fall and Toretto heads to Japan to investigate. 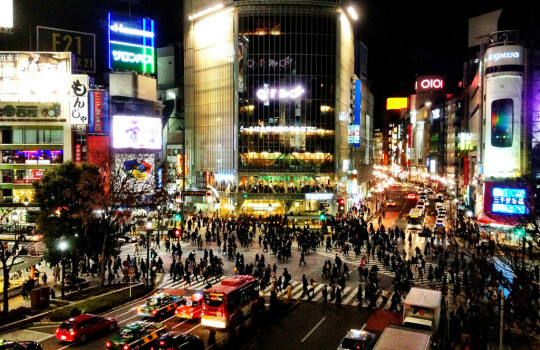 The busy crossing briefly featured is the one of Shibuya, the shopping district of Tokyo. 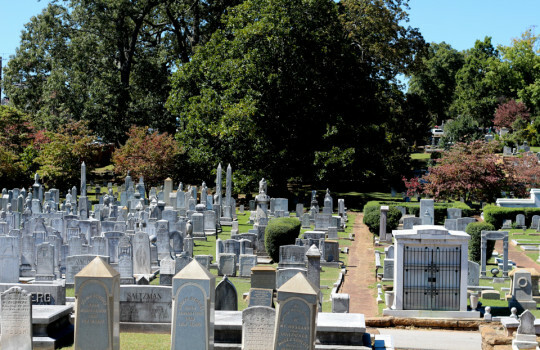 The funeral of Han takes place at the Oakland Cemetery in Atlanta. Dominic Toretto: [Holding his necklace] Words haven’t been invented. Han’s funeral leads to the first encounter between Dom and Shaw where the two can size each other’s driving and fighting skills before being interrupted by Mr. Nobody played by the legendary Kurt Russell. Deckard Shaw: You never should have messed with a man's family. Dominic Toretto: I told your brother the same thing. Opened in 1941 as an adjunct to nearby Fort McPherson, it used to house the United States Army Criminal Investigation Command. It was closed down in 2011. Dominic Toretto: I don't have friends, I got family. The impressive car drop to infiltrate the base of Jakande (Djimon Hounsou) and retrieve the hacker Ramsey was filmed above the Arizona desert. The transporter plane took off from the Coolidge Municipal Airport, also located in Arizona. 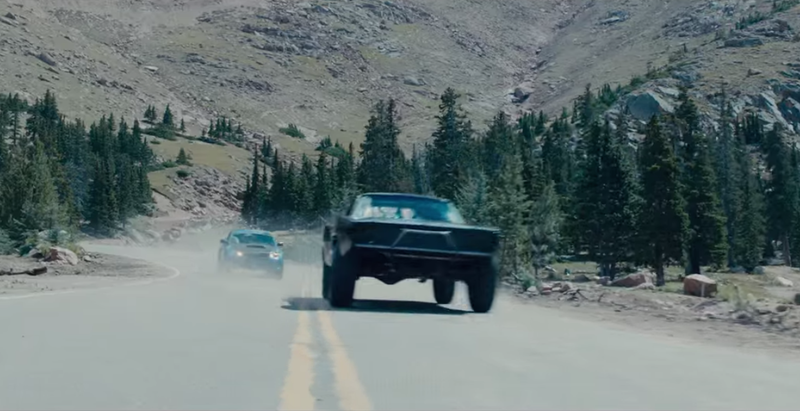 The Rocky Mountains was used as stand in for the Caucasus Mountains of Azerbaijan in Furious Seven with Pikes Peak and its 14,115 ft (4,302 m) making a guest appearance. 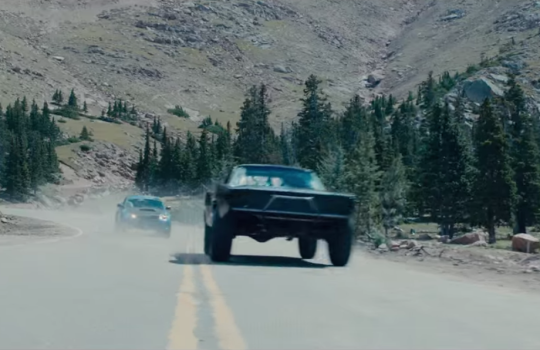 The frenzied chase along the mountain roads whose beauty is only matched by their treacherousness was filmed on Highway 50 around Pikes Peak and Monarch Pass, about 70 mi (113 km) west of Colorado Springs. Reeves Parkway and Rum Creek Parkway, off Rock Quarry Road, in Stockbridge, southeast of Atlanta. 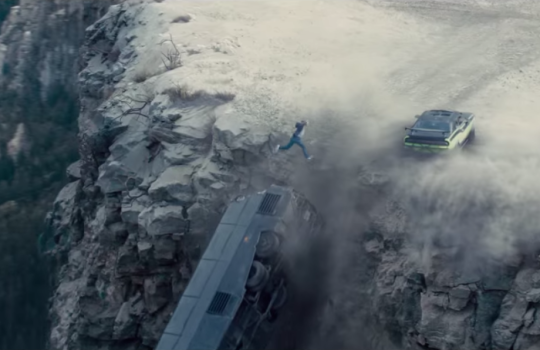 Amazingly, the extreme jump scene starring Brian (Paul Walker) was a real stunt filmed in the quarry off Rock Quarry Road at the end of Reeves Parkway and Rum Creek Parkway in Stockbridge. 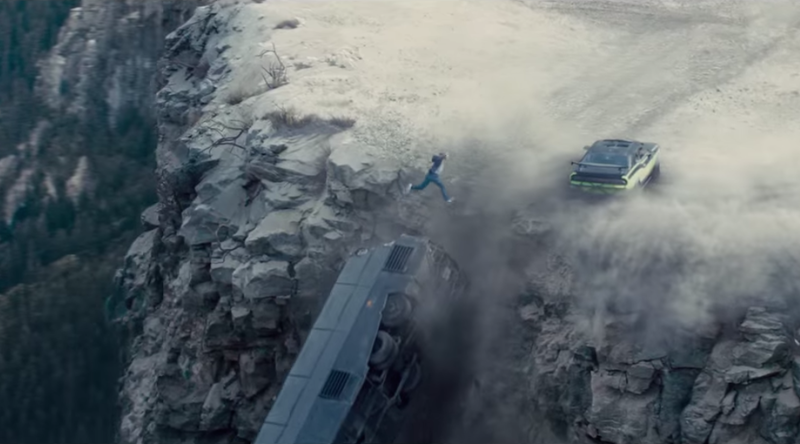 The stunt, that includes the last-gasp run of Paul Walker (well, his stunt double) on top of the bus as it's falling in the precipice and the impossible jump to grab the spoiler of Letty's car's while it's spinning uncontrollably, took an entire week to prepare and film. 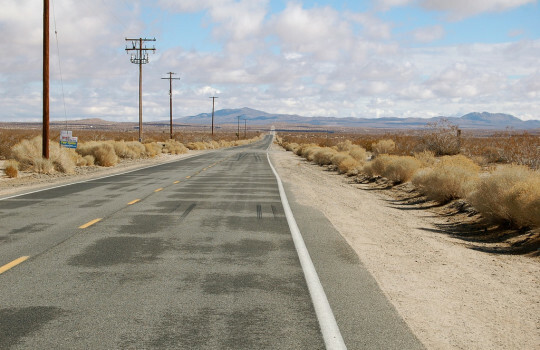 The quest of the team to find God's Eye takes them to the United Arab Emirates. 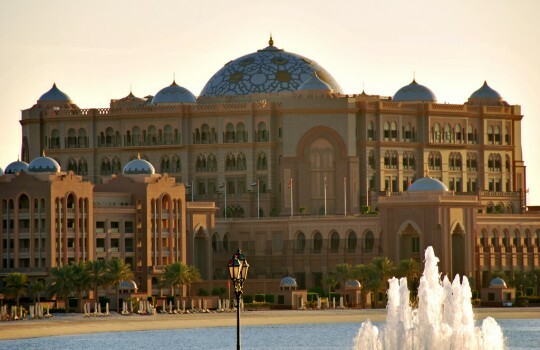 Enjoying some well-deserved calm before yet another action storm, Dom and his crew along with the lovely Ramsey (Nathalie Emmanuel), stay at the luxurious Emirates Palace of Abu Dhabi. Ramsey: Life is binary: zero and ones. Only two things keep a group like this together; fear or loyalty - and I don't see a drop of fear amongst you guys. 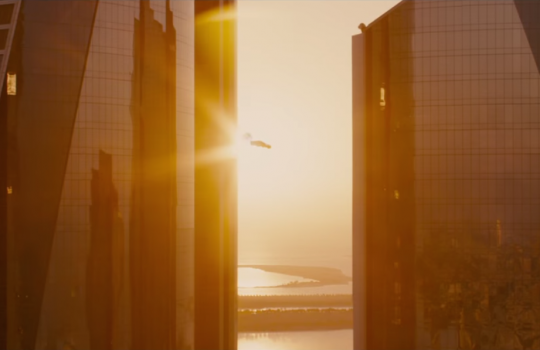 The Etihad Towers make a stunning appearance in Furious Seven as the playground of Dom and Brian who drive a Lykan HyperSport through three of the towers. Needless to say, that one was not a real stunt: it was filmed at the Atlanta soundstage. The Etihad Towers are one of the most iconic Fast and Furious 7 filming locations. Brian O'Conner: Cars can't fly, Dom, cars can't fly! Comprised of 5 towers, the tallest building of the Etihad Towers is Tower 2 with its 74 floors and 305 meters (1000 ft) that makes it the second tallest skyscraper in the United Arab Emirates after the Sky Tower. 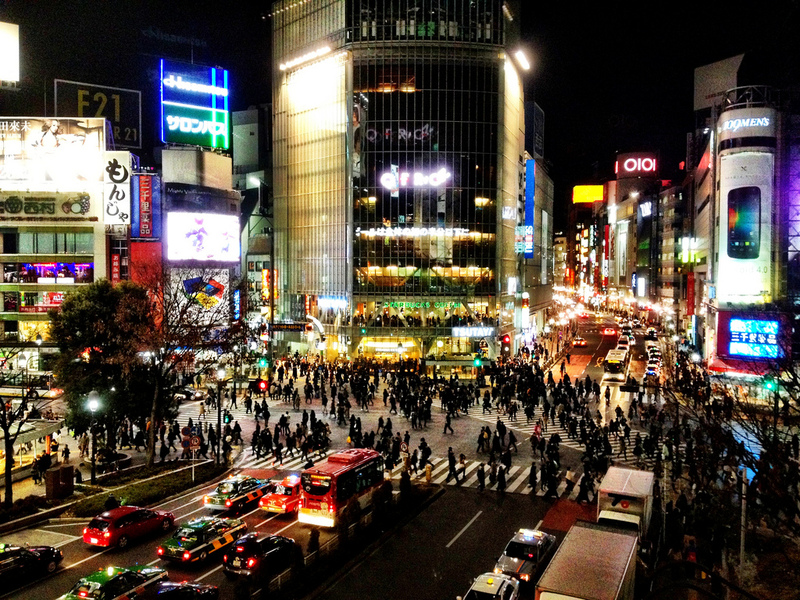 If you would like to enjoy the view, you can reach the observation deck of Tower 2 at the 75th floor. 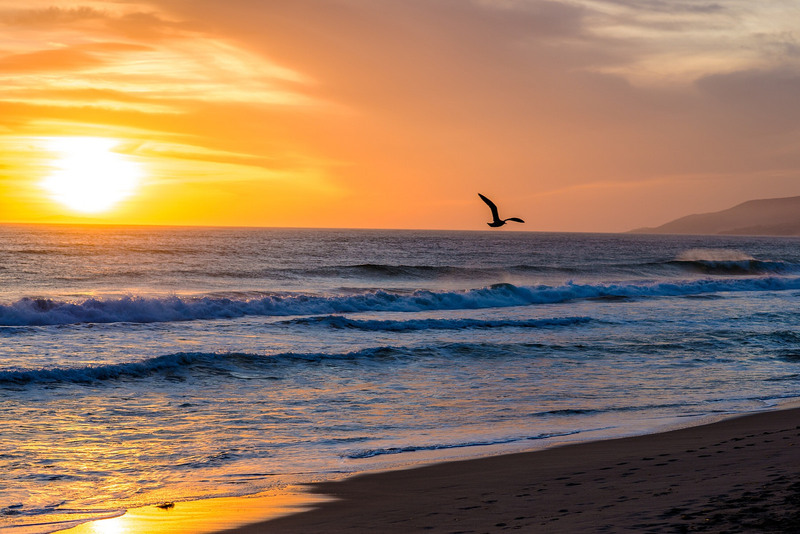 Back in Los Angeles, decided to face Deckard Shaw on their home ground, Dominic and his acolytes are targeted by a drone with the power of omniscience thanks to God's Eye. 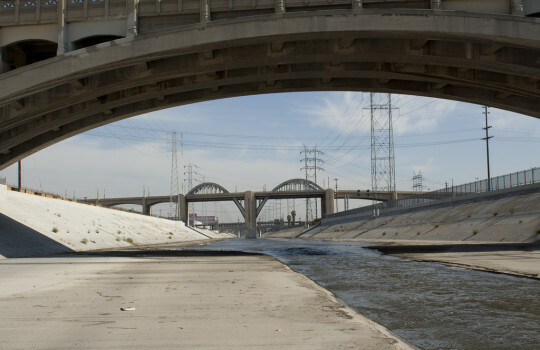 Among the Fast and Furious 7 filming locations that can be recognized during the drone chase are the 6th Street Bridge, the Disney Concert Hall, the Los Angeles River Channel and the AT&T Switching Center at 420 South Grand Avenue. Other locations were in Atlanta like Farlie Street, Marietta Street and Wall Street (near the CNN Center). 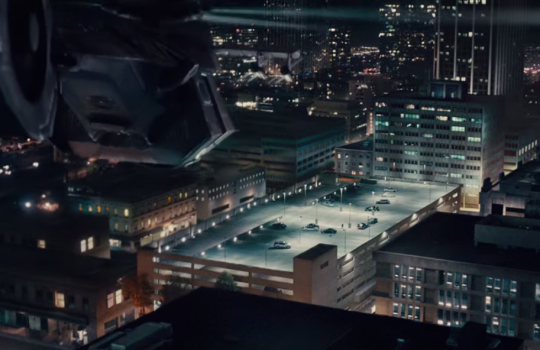 The final face off between Dominic Toretto and Deckard Shaw takes place on the top floor of a parking garage in Atlanta just in front of the Natural Science Center. 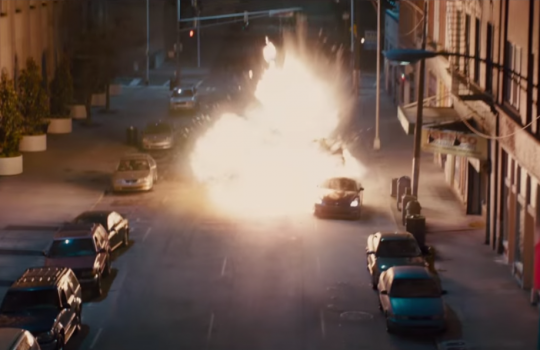 The following helicopter attack scene was filmed at a different parking garage, the one at the southeast corner of Spring Street NW and 4th Street. 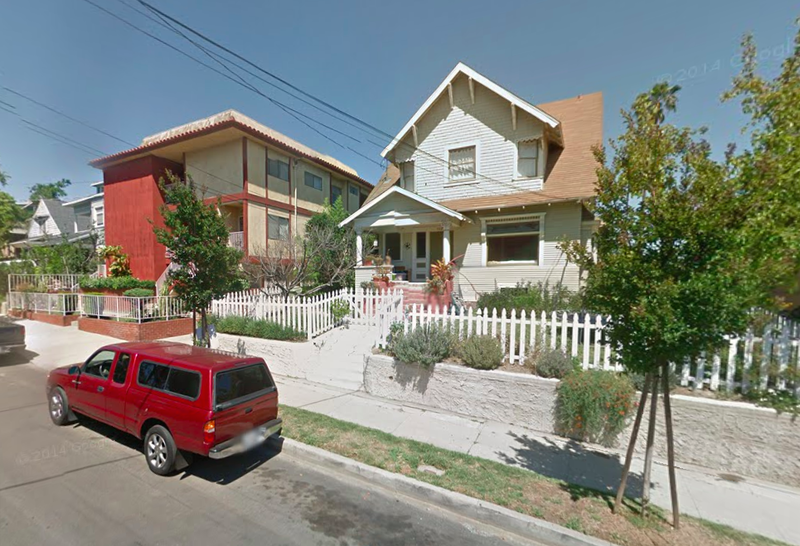 Both locations are very much still standing and can, therefore, be visited if that's your wish! Dominic Toretto: You thought this was gonna be a street fight? Dominic Toretto: You're goddamn right it is. 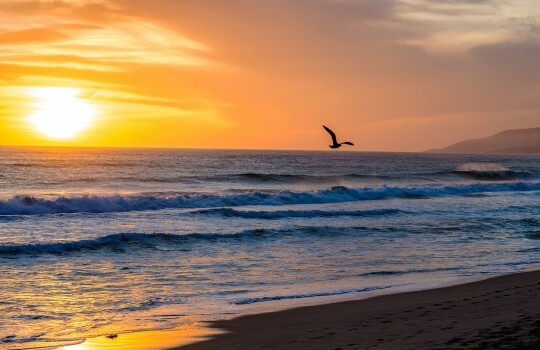 The epilogue scene of Furious Seven with the whole crew blissfully enjoying the sight of Brian with his wife and son playing on the beach was filmed in Malibu. 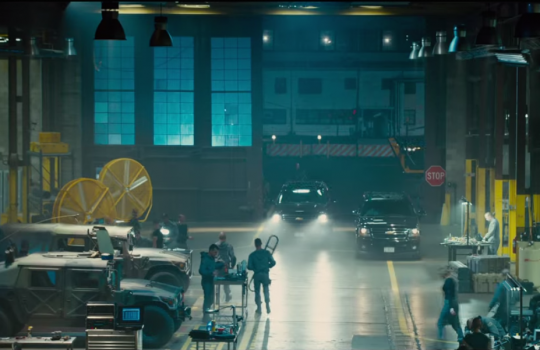 Much have been said about the Fast and Furious 7's CGI-created final scene to feature Paul Walker who died half way through the movie's production. Personally, we prefer to remember Paul Walker in the outstanding Running Scared (2006) that truly unleashed the actor's talent. Rest in Peace, Paul.